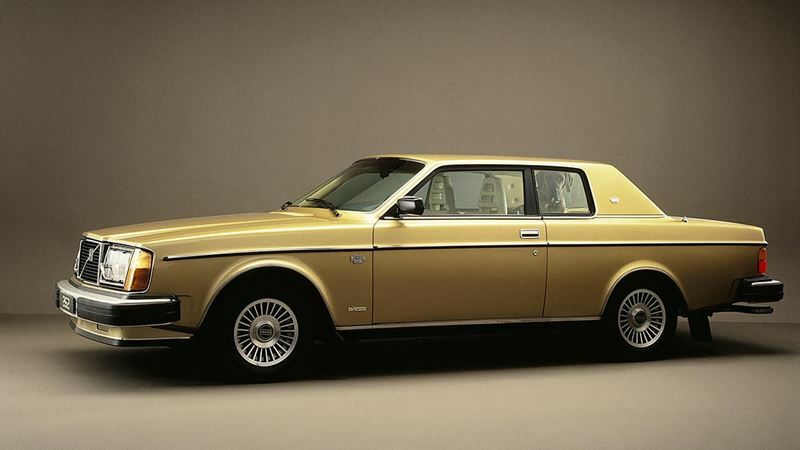 When the Volvo 262C was introduced at the Geneva Motor Show in 1977, many people regarded it as an anniversary model to celebrate Volvo's 50th anniversary in April of the same year. This was not the case, however. Special versions to celebrate this milestone in Volvo's development came later. The Volvo 262C was a 2-door coupé with four comfortable seats; this was possible as the car had the same wheelbase as the Volvo 264. In addition, it had a different roof line from the 4-door cars on which it was based. The windscreen sloped more sharply and the car had a very wide C-pillar. The first cars were painted silver and had a black vinyl roof. The interior was very exclusive and was upholstered in leather. The car was designed at Volvo in Sweden, but it was produced by Bertone in Italy. Overall length 490 cm/198", wheelbase 264 cm/104".